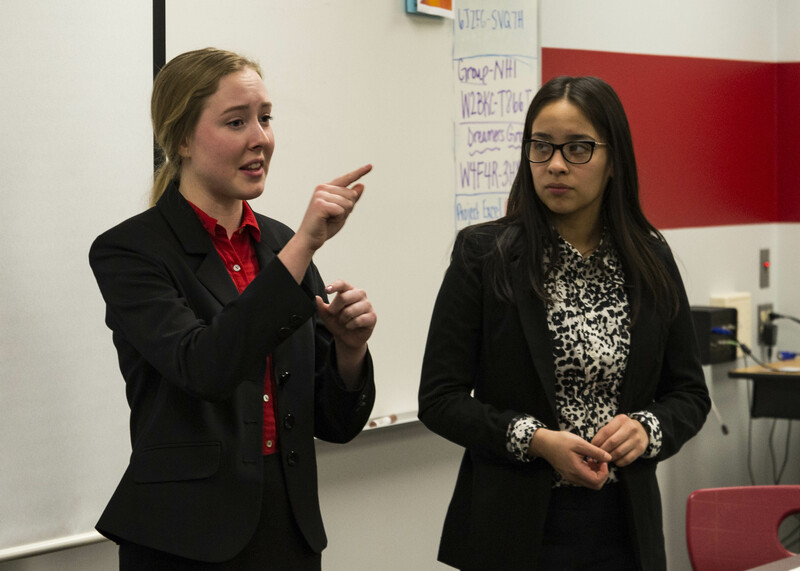 Gianna Valero (right), a senior at Palatine High School, discusses her group’s business model during a presentation to the Palatine WIBAF (Women in Business Advisory Forum) during the organization’s monthly meeting at Palatine High School. Three Palatine High School Business Incubator students, Phoebe Domanus, Gianna Valero, and Anushri Gupta, presented their business design for Nail Bubs, protective covers for freshly painted nails, to the Palatine Chamber of Commerce Women in Business Advisory Forum (WIBAF) during the organization’s monthly meeting held at Palatine High School, Feb. 13.
Business teacher Adrienne Stewart said having the programs only all-female team present to the forum was part of a plan to show students what it’s like to be a woman entrepreneur. Bridget Witt, a member of the Palatine Women in Business Advisory Forum (WIBAF), offers feedback to a group of Palatine High School Business Incubator students. Katie Forsythe, a chairperson with WIBF said she enjoyed hearing the students’ pitch. 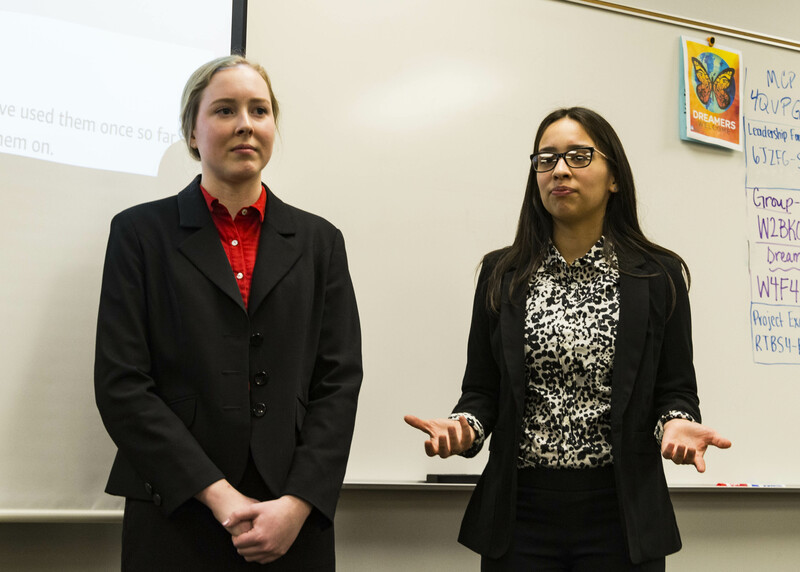 For all three students, presenting to a room full of women was a welcome change. 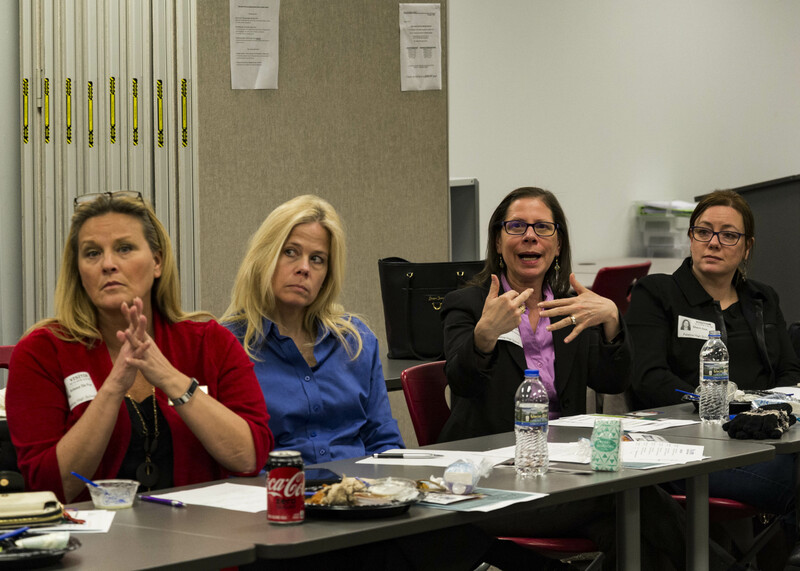 Phoebe Domanus, a junior enrolled in Palatine High School’s Business Incubator program, discusses her team’s business model to the Palatine Women in Business Advisory Forum Feb. 13. Valero stated that she hopes events such as this will encourage more girls to enroll in the Business Incubator program. “There is definitely a disproportionate amount of men over women in our class,” she said. Domanus added that presenting their pitch to women was better received. 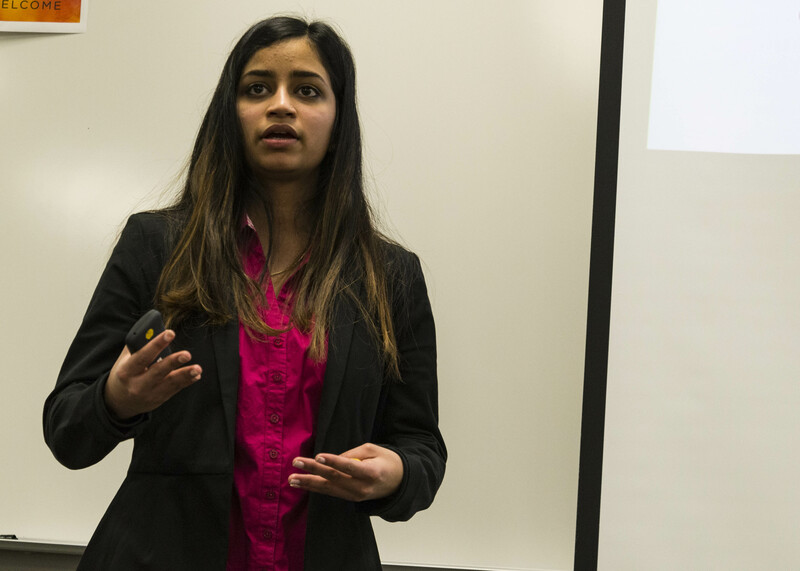 Anushri Gupta, a senior enrolled in in Palatine High School’s Business Incubator program, discusses market research conducted on their “Nail Bubs,” project.